Civic freedoms, including freedoms of association, peaceful assembly, and expression are widely respected in both law and practice in Germany. Under the slogan “We have enough of the agribusiness industry”,on 19th January 2019, around 35.000 people protested against the negative impacts of EU agricultural subsidies in Berlin. 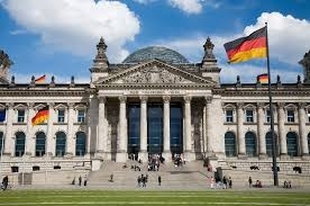 Article 9 of the Basic Law for the Federal Republic of Germany guarantees the right of all Germans to form corporations and other associations. Article 8 of the Basic Law for the Federal Republic of Germany guarantees the right of all Germans to assemble. Article 8 of the Basic Law for the Federal Republic of Germany guarantees the right of all Germans to assemble peacefully and unarmed, and without prior notification or permission. Protests are common, and the right is respected in practice, with exceptions for groups espousing Nazism or opposing democratic order. Freedom of expression is protected in the constitution, and journalists and the media are largely free and independent. Freedom of expression is protected in the constitution, and journalists and the media are largely free and independent. Hate speech, advocating Nazism, and denial of the Holocaust has long been punishable under German law. Germany’s criminal code currently contains a provision which makes it illegal to insult foreign heads of state. In April 2016, German authorities acceded to a request from Turkish President Erdoğan, to commence investigations against a German satirist, Jan Böhmermann, prompting concerns about the German government’s commitment to free speech. However, In October 2016, prosecutors announced that charges would not be pursued against Böhmermann. Rights groups have documented a rise in hate speech via social media in Germany, with most of it targeted at non-Germans, refugees and LGBTI people.